We work to improve the quality of life for the most vulnerable populations in Costa Rica. There are more than fifty projects that the Foundation currently supports, ranging from counseling abused women and children in the greater San Jose area to helping indigenous groups protect their cultural heritage in remote mountain villages. All needs we address are defined by the local populations, thus ensuring a high level of commitment to each project. Often, when we do constructions, people say, why don’t you just do this with a machine…one reason is because machines are hard to come by…a group of people with shovels is easy. Also, we think it’s part of the experience to actually do things by hand – hey, I am known to still write with pen and paper – and to work together to get something physical done. 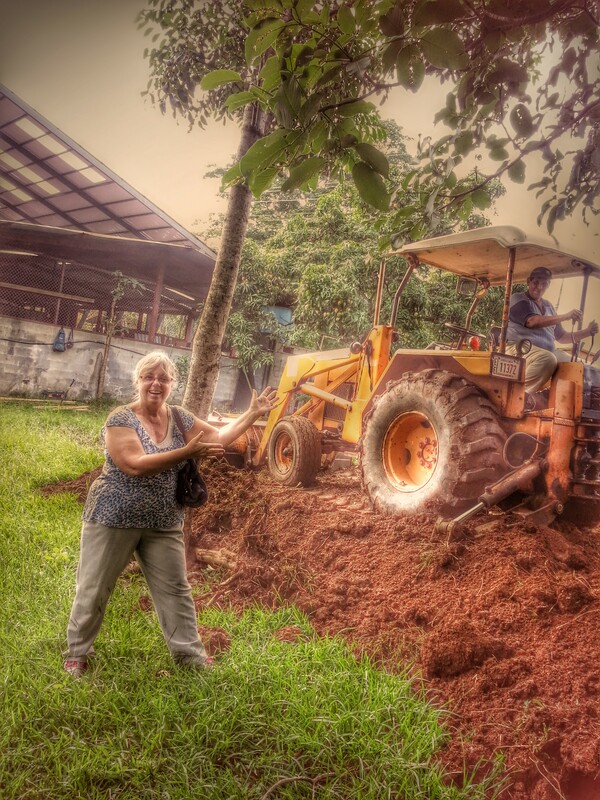 But, this time, the leveling of the ground would have been a bit too much so we did manage to find a bulldozer right next door to the San Miguel school.